HVAC Apprentice in Chester County, PA. Sinton AC and Heating Inc.
Get started today with one of the top-rated careers of the future with a great family company at Sinton Air Conditioning and Heating, Inc.
We are looking for an HVAC Apprentice to join our growing team of HVAC Professionals. 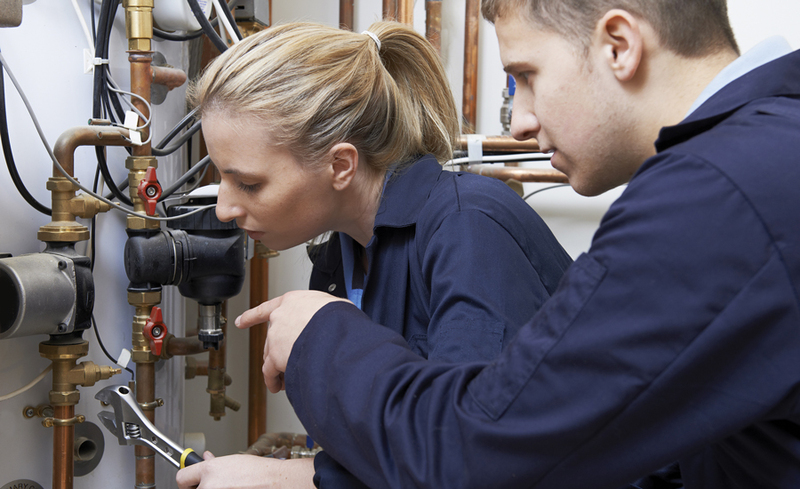 As an HVAC Apprentice you will assist Service Technicians and Installers with Residential HVAC projects in Chester County. We are recognized internationally as a leading source for reliable, skilled craftsmen. With more than 2,000 active clients we have plenty of great opportunities for HVAC Technician Apprentices that want to be the best in their field. We offer consistent work, top pay, benefits, and employment opportunities in most major markets throughout Chester County, PA.
Can you work with your hands? Do you like making or fixing things that are broken? Send Your Resume Now because HVAC Helper Jobs are Available! Learn while you get Paid. Trade School graduation is required. What Is the HVAC Helpers Salary and Benefits?